Your brain is tired. So is mine. That’s because our brains are like muscles, and we are overworking them with too many decisions. This phenomenon is called decision fatigue. According to a study featured in the Journal of Personality and Social Psychology, we make 70 important decisions a day. With each additional choice presented and every new decision we have to make, we exhaust our brains, leading to worse overall decision-making. In fact, limiting our options often results in better decisions. Yet culturally, we deeply value personal choice. To limit or eliminate can feel counterintuitive. After all, isn’t abundance the ideal? Abundance is only ideal when you have strategies and tools that shape the abundance to suit your needs. Abundance is not ideal when you’re burying your face in a box of dark chocolate-coated marshmallows you don’t even want because you couldn’t decide what to buy at the grocery store (guilty) or staring at the ceiling for hours because you have so many things to do you can’t pick a starting point (super, super guilty). Decision fatigue leads to bad choices or no choices, but it can be avoided and combatted. I use three strategies to do both: theming, rule-making, and scheduling. The trick to avoiding decision fatigue is to know exactly what you want and then hold yourself accountable to pursuing it. I use theming — grouping multiple objectives, desired outcomes, and actions by theme — to do this. By setting a theme, I commit to a single path, which makes it harder to be overwhelmed by all the other paths I could take. Because the themes I choose are comprehensive and adaptable in the face of life changes, they don’t hamper spontaneity. They do, however, provide a structure that allows me to stack-rank options for easier decision-making. In an episode of the Tim Ferriss Show, author and happiness researcher Gretchen Rubin shared that each year she sets a one-word theme, such as delegation, to steer her in the right direction and focus her decisions. By choosing a one-word theme, you force yourself to ultimately stack-rank competing interests, which makes decision-making more automatic and less overwhelming. Ultimately, the reason decision fatigue exists is because we can’t differentiate between choices or understand which are truly more important than others. For my purposes, I chose the word “relief” for the year, and I went about writing all the positive and negative behaviors I associate with the word. For example, I feel relief when I meditate; I don’t feel relief when I stay up an extra hour to finish an article. I wrote out big and small behaviors, but focused on keeping with the theme. Then, I recorded and set goals for the year around them. If I want to feel relief, that means reducing my overall pain level, which necessitates reinvestment in physical therapy, regular stretching sessions, and doctor’s appointments. When deciding between two competing actions, such as going to a yoga class or catching up on email for several hours, my theme made the choice for me. I went to yoga. Though the one-word theme is useful in framing the year, it’s often not comprehensive enough to automate all decisions. I am a strong proponent of Danielle LaPorte’s approach in The Desire Map, which encourages readers to achieve core desired feelings instead of pure goals. While my core desired feelings remain the same for as long as they feel right, whether that’s six months or two years, I make more regular decisions based on them monthly. This involves preplanning, which is the greatest antidote to decision fatigue. At the first of each month, I open my Desire Map Planner to the Monthly Check-In page. I write out each desire and structure my decisions for the month around them. For example, one of my core desired feelings is “masterful.” To feel masterful, I need to both teach and learn, so I identify the highest value activities for both and start setting targets. This month, I volunteered to teach an extra class — which determined where I’d spend my Monday nights — and committed to taking at least one non-fitness class over the weekend. This narrowed my choices for how to fill my days significantly, while also moving me towards feeling how I want to feel. Sometimes the best theme for decision-making is simply “joy,” but considered in the most immediate circumstances. We often don’t ask ourselves what will make us happy when making decisions, which is how we end up sucked into infinite scroll paralysis and meetings we don’t want to have. It’s so easy to forget to ask this question that I use a journal to make sure I don’t. Every morning, I record three things I’m grateful for, three things that would make the day great (which I equate to joy), and my daily affirmations in my Five-Minute Journal. For the affirmations, I actually write my monthly themes, those core desired feelings, so I remember to keep them with me and act on them throughout the day. At the end of the day, I reflect on what happened that was amazing, and what I could have done to make it better. I consciously consider how I can use both to make decisions the next day. If I wrote that I could have made the day better by going to sleep earlier, then the decision is already made for the next night — I’m going to sleep earlier. I love rules, especially the ones I design for myself. By listing out rules and holding myself accountable to following them — or having someone else hold me accountable if I can’t be trusted — I eliminate at least 60% of the decisions I would have to make on a regular basis. I set two kinds of rules: ones attached to higher level principles meant to guide my life, and ones tied directly to quotas. Perhaps the most useful element of Gretchen Rubin’s The Happiness Project is its framework for crafting personal principles. Once you make your rules for life, decisions become so much easier because you have the answer in every situation. Using this framework, I created my own, which I regularly revisit in my journal when faced with especially difficult decisions. At work, I almost always face competing priorities. In my people-focused role, I face innumerable meetings, but I am also responsible for strategic projects that usually involve extensive research and writing, along with daily responsibilities that always seem urgent. One evening, I found myself still at the office after almost ten hours of meetings looking at my task list. The list was so long and the level of importance for each task was so undifferentiated that I had no idea where to start. I started to feel my temples tightening, my stomach muscles contracting, and my heart rate speeding up. I stood paralyzed running through every option in front me — stay up all night answering email, practice a highly technical presentation, knock out three tasks on my to-do list, stress-eat an entire box of honey-roasted peanuts, or scroll through videos of my favorite Instagram-famous cat. I opened my journal and read my commandments. I decided to trust it would all get done and prioritize eating and sleeping. I went home. The next day, I accomplished everything I was too overwhelmed to confront the day before. My favorite part of rule-making is tying everything I do back to specific numbers. This allows me the flexibility to schedule my day how I need to — as opposed to logging my day down to the ten-minute mark, as I did in college) — while still structuring where my time goes without fatiguing me. The single biggest decision I’ve made that’s helped reduce the amount of decisions I make each day overall is creating a capsule wardrobe. A capsule wardrobe is small and made up of essentials. It’s become especially popular in the minimalism movement, especially through challenges like Project 333. The challenge is to wear 33 items or less, including clothing, accessories, jewelry, outerwear, and shoes, for three months. While Project 333 was too minimal for me, the idea of the capsule wardrobe was not. I set a quota: I can never own more than three colors of clothing. I chose red, black, and gray, and I have not given more than two minutes of thought to an outfit in almost two years. Similarly, I set a quota to reduce my worldly possessions by two-thirds, following Marie Kondo’s method as outlined in The Life Changing Magic of Tidying Up. I knew I had to hit my quota, which meant being ruthless in the donations process. Afterwards, household decisions became easier because I had less to choose from; I don’t mull over which candles to light or plates to put out since I am limited to singular options. I also set a one-for-one rule. For everything new item I buy, something old has to be donated or recycled. If I love a skirt too much to part with it, then I’m not going to purchase another one. I don’t just set rules for my home, though. Since these are must-do items, making decisions becomes extremely easy. Wake-up times, work meetings, hangouts, and even other quantified daily practices all conform to fit these into my schedule. If it’s Sunday, and I’ve only practiced guitar five times and managed four workouts, then my morning will be dedicated to sight reading and cardio. Decision made. I live and die by my calendar. I’m not proud of this fact, but it’s true and it’s not going to change any time soon. In the interest of focusing on strengths rather than weaknesses, I use this obsession to combat decision fatigue regularly by blocking out activities on my calendar before I have multiple choices in front of me. I learned how to apply scheduling more effectively to decision-making from Tim Ferriss. Instead of setting New Year’s Resolutions, he conducts Past Year Reviews, which involve reviewing last year’s calendar and sorting the events, meetings, and interactions into “Positive” and “Negative” categories. Once he identifies the leaders in the “Positive” category, he starts scheduling them en masse for the year. I apply this framework more regularly than once a year, though I allocate the most time to analysis in the first week of January. 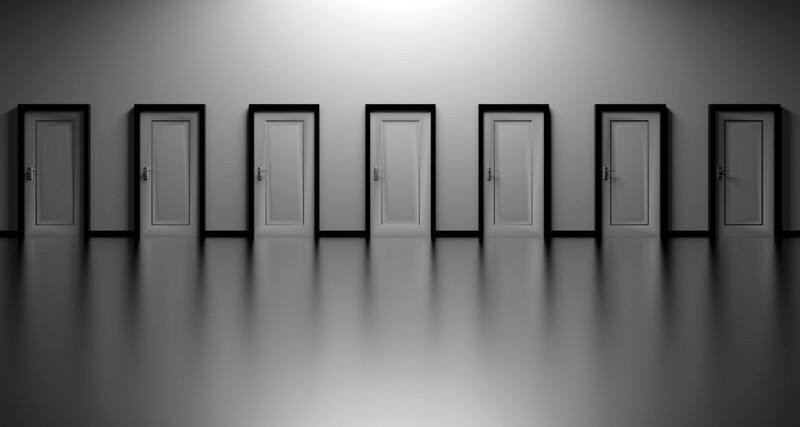 When I make bulk decisions before I am confronted with an array of choices, I don’t experience indecision, doubt, or fatigue. I move forward. For example, I am plagued by questions about weekend plans. I live in Chicago, which has an unending supply of new restaurants, exhibits, plays, concerts, people to see, classes to take, and general things to do. I easily fall into the trap of thinking there isn’t anything to do because I have too many options. However, by quickly evaluating my calendar, I can see that Steppenwolf Theatre Company plays spark the most joyful memories. Season tickets to Steppenwolf (tickets average between $15 — $20 for subscribers under 30) solve my weekend plan decision-making paralysis. I went to a Steppenwolf play every Saturday in January. Similarly, one of the most important relationships in my life is with my best friend, Katina, who lives very far away in San Francisco. We set the goal of talking on the phone regularly to stay ever-present in each other’s lives. While these calls are some of the most life force-restoring parts of my weeks, actually making the decision for what day, what time, and how long to talk often leads to inaction. However, a recurring calendar invite for every other Sunday night makes the decision for us in advance and ensures we won’t miss each other. Finally, at work, I have become a master at scheduling to ensure projects get done, meetings happen, and I never miss deadlines. I block out chunks where I can do “quiet time” work like writing and strategy mapping, as well as assign myself tasks through Asana, my task management system, with specific deadlines, even when none are required. Setting my presentation on equity negotiations to be done on Tuesday — even though it’s not due until the following week — means I will do it then. I don’t want my task to go from green to red in the system, indicating that I missed a deadline. Nor do I want to open my planner and review the day’s objectives and projects to see that there’s an item I cannot cross out. Making the project a priority beforehand ensures I will automatically execute, even if there are other things competing for my attention. We are forced to make too many decisions every day because we have access to virtually everything we want any time we want it. But just because everything exists doesn’t mean we can handle all of it at once. The best way to fight decision fatigue is to understand the anything you want instead of the everything. What do you want most? For yourself? For others? For the world? When do you want it? How? Why? Theming, rule-making, and scheduling are essentially just strategies to help you understand what it is you want most. Whether you use them or not is less important than whether you take the time to define your desires. Once you define them, write them down and study them every day. It’s a brain workout that will pay dividends.